Move over Wonderwoman- Wondrous Sonal Mansingh is here! What would you do if you found your husband in bed with another woman? The same husband who you fought the world to be with and who was once your knight in shining amour. Would you crumble and fall or rise up like a phoenix to shine bigger and brighter like the brightest star in the sky. If you are Sonal Mansingh you create another Universe where you are the Sun. 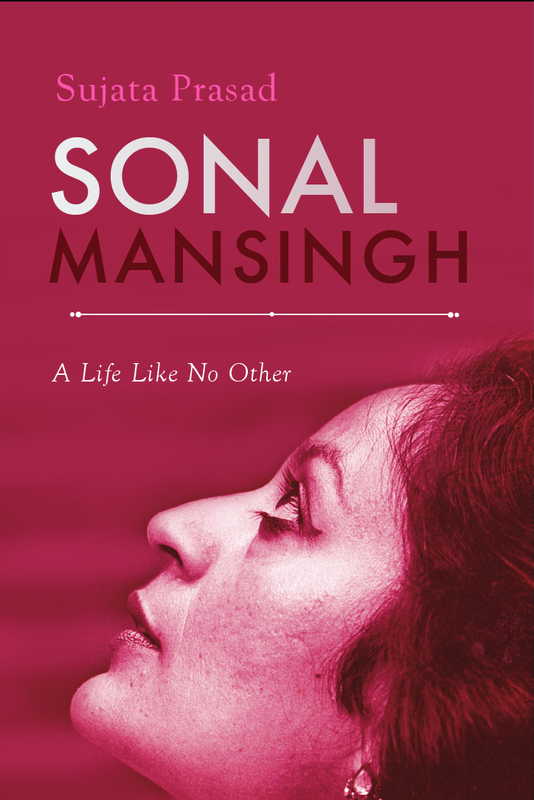 Sonal Mansingh has constantly pushed the boundaries whether it was divorcing her first husband when in India Divorce equaled death and then choosing to keep his surname because it was more practical, as everyone just knew her by that name. Even decades later women in India are still shying away from divorce and choosing to stay in crumbling marriages so forget about keeping your husband’s surname that still sounds like a farfetched fairytale. At each point in her life Sonal has taken the path less trodden path and faced the brickbats for her choices but she has stuck to her guns and soon those naysayers have turned fans and admirers but by the time that has happened Sonal has set off to explore new territories and create new ones. But throughout all of it one thing that has defined Sonal is her DANCE and she has lived and breathed it. Georg slammed the brakes hard, but their Volkswagen Beetle skidded on the rain-drenched road, did three somersaults, turned upside down and settled on its roof. Sonal lost consciousness as she was tossed 4 metres away from the car on the hard surface of the motorway. It was not the pain, overwhelming as it was, that seared her. She overheard one of the doctors tell Georg that it would take several months of physiotherapy before she could walk. Returning to dance seemed improbable. For Sonal, this was like having her pause buttons permanently pushed. It was a frozen time for her, and newspapers, magazines and radios the world over carried obituaries to her career in dance…. Sonal promised herself that no matter what it would take, she would reclaim her life. This was the beginning of the process of what she loves to call her ‘second birth’….. But after that not only did she walk but continued dancing and changing the landscape of arts and it was only befitting that she was conferred one of the highest civilian honours Padma Vibhushan, by the government. Her never say die spirit and the large multihued canvas that she has lived her life on is reflected in the book-A life like no other. The book captures her effervescence, dedication, discipline, fearlessness and also makes you realize that she has always been a thinker ahead of her times. It got me thinking that Sonal would be a trailblazer at any point of time in history because she always came with a perspective that was not shaped by the norm of the day but was breaking, challenging the norm of the day and in the bargain paving the way for a new norm. In that sense she is timelessly eternal and will always be ahead of the curve. That’s the thing about her life that makes you feel that you want to be a part of the exciting life that she is leading and to keep pace with her you realise you need to accomplish so much. Even though you may not have done accomplished anything at all, you get the burning desire to at least take the first step towards your dreams. That’s also the beauty of books, when you are down and out and feel that you have been singled out for life’s miseries, a good book like this gives you a different perspective on your life and makes you think of others who have been in worse situations and have reached for the stars and in the process have become bright shining stars themselves. I am an award winning divorce lawyer, author, columnistand Social Entrepreneur on whom the BBC has made a documentary 'Invisible Women of India’. I have set up 'Divorcekart'-India's first legal app for Divorce and for 24-7 lawyers on call. I am also the author of the bestseller 'Ex Files’, The Story of my divorce-published by Penguin under the Shobhaa De imprint, which has been launched by the Hon’ble Attorney General of India Mr. Mukul Rohatgi and the Hon'ble Chief Justice of Mumbai High Court, Mr. Mohit Shah.It has been endorsed by Lord Meghnad Desai, Padma Vibhushan Sonal Mansigh and it looks at divorce through a humorous lens. Ex Files is now a part of the Judicial College syllabus. My work as a social entrepreneur, where I set up India’s first support group -360 degrees back to life, has been lauded by Gloria Steinem, the world’s foremost feminist who has endorsed my previous book. I have also translated a book written by the Jain Saints. My work has been lauded both by the National as well as the International media. I have been a panellist frequently on BBC, NDTV amongst others and at various Literary Festivals. Currently, I am contributing as a regular columnist on Law/Women Empowerment for Savvy. I am also an occasional contributor for BBC. If you’d like to read more about my profile please visit my website www.vandanashah.com .